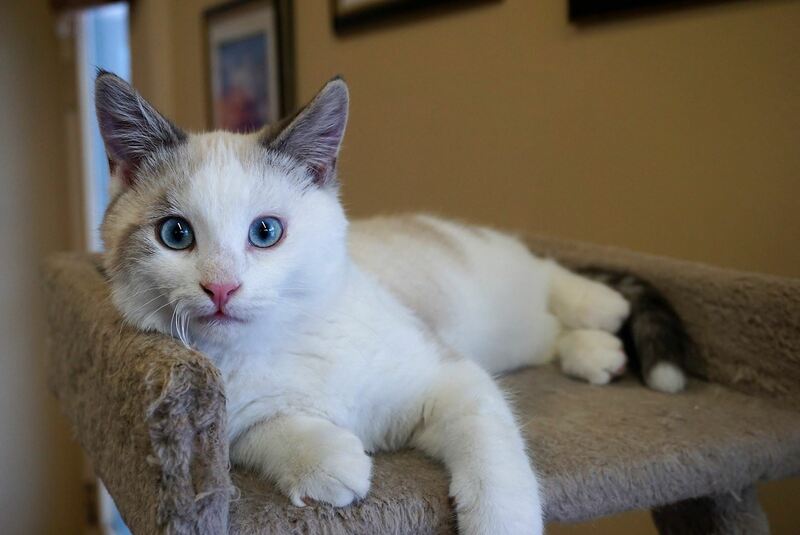 Henry is the last of the “Royal” litter at Rescue Siamese. Don’t let this little guy’s size fool you: he has a huge curious streak and lots of energy. This playful guy can also be quite the charmer–if you’re lucky, he’ll stop to snuggle on your lap. If you would like to meet this fun and energetic guy, you can visit Henry at the Rescue Siamese store during regular opening hours.